London: Conspiracy theories have shrouded the mysterious death of legendary US General George S. Patton for long. Now, 63 years on, a new book has claimed that he was assassinated to silence his criticism of WWII allied leaders. According to the new evidence, American spy chiefs hatched a plan to assassinate Patton after World War II in connivance with US leaders because he had threatened to expose the allied collusion with the Russians that cost lives of many Americans. 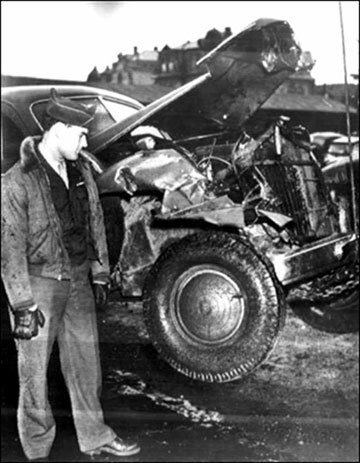 Although Patton had suffered serious injuries in a car crash at Manheim, he was thought to be recovering and was on the verge of flying home. He died in December 1945. But, according to the book, the wartime Head of Office of Strategic Services (OSS) Gen "Wild Bill" Donovan ordered a highly decorated marksman Douglas Bazatato "to silence" Patton who gloried in the nickname "Old Blood and Guts". "Patton was going to resign from the Army. He wanted to go to war with the Russians. The administration thought he was nuts. He also knew secrets of the war which would have ruined careers. "I don't think Dwight Eisenhower would ever have been elected President if Patton had lived to say the things he wanted to say," the author of the book 'Target Patton', Robert Wilcox, was quoted by British newspaper 'The Sunday Telegraph' as saying.